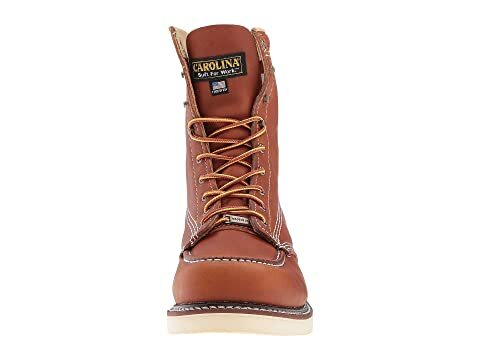 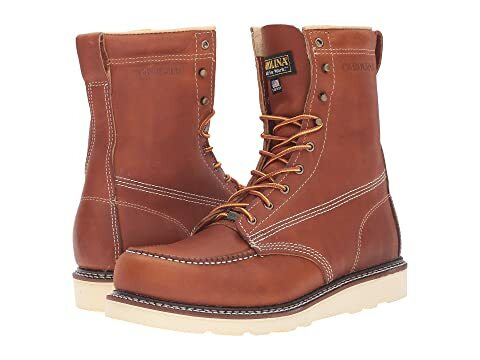 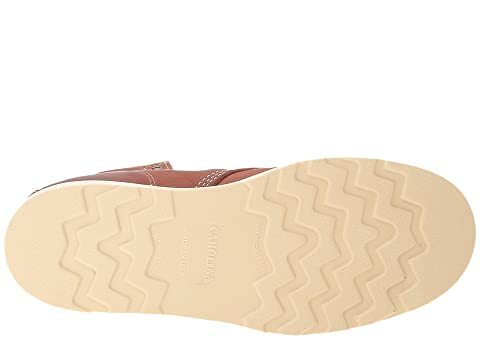 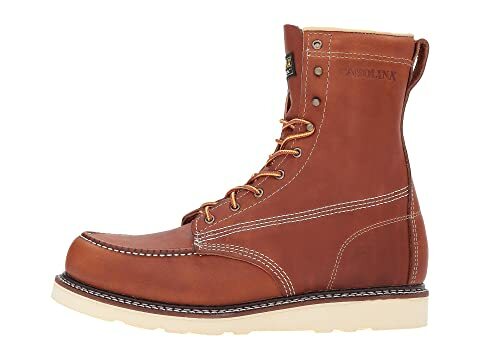 The Carolina® AMP USA Domestic Moc Toe Wedge CA7002 work boot keeps you steady and comfortable on your feet all day long with its durable leather construction, underfoot support, and reliably slip-resistant outsole. 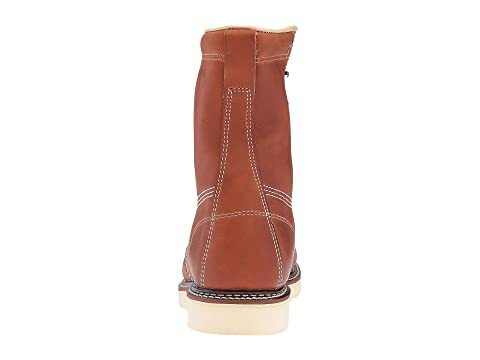 Soft toe work boot with wedge outsole. 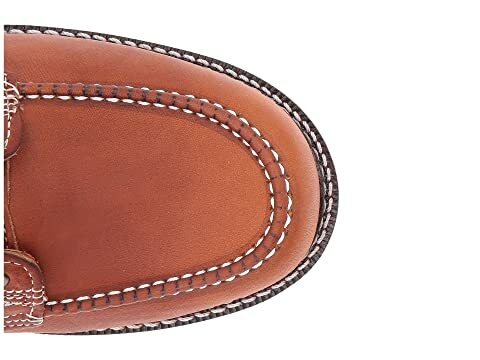 Steel shank for rigid stability. 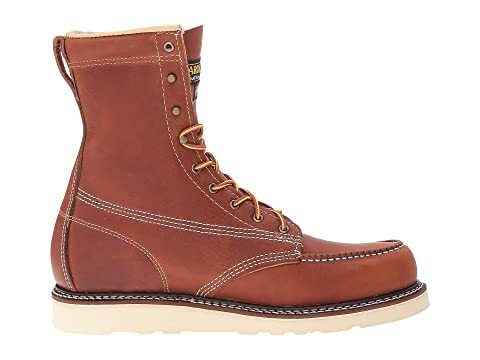 Meramec Raptor Polyurethane Outsole is slip and oil resistant, providing superior traction and grip.